This is Carol, Roger's wife. Since Roger's brutal beating and unlawful arrest on Oct 23, we have been humbled by the large number of people who wanted to help us and who've offered to lend their support in a variety of ways in our ongoing fight for justice. 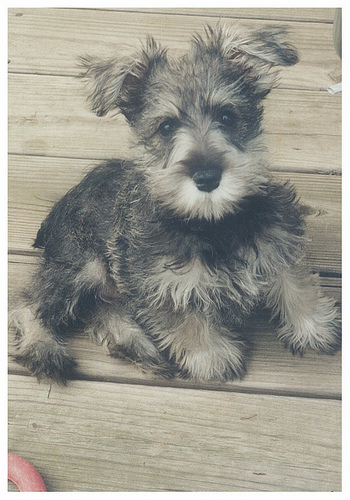 Many of those kind individuals have chosen to support this fight by way of the Legal Schnauzer PayPal donation button, which can be found in the upper right-hand corner of the blog. Fighting against the forces of evil and tyranny does not come cheaply, but the donations that have come to us via the blog's PayPal donation button have made that fight much more feasible. Hopefully, this will help enable the release of Roger Shuler from Alabama's own little "Gitmo" soon. As well as, fighting the ruthless, powerful and obscenely corrupt thugs who orchestrated this entire travesty and finally holding them accountable for what they have done. Nov. 14 Court Hearing in Legal Schnauzer First Amendment Case Results in "Final Order"
This is Carol, Roger's wife. The Nov. 14 "Permanent Injunction" hearing in the Legal Schnauzer first amendment case was carried out under murky circumstances and held at a secretive location which served to keep it from the disapproving eyes of a concerned public. However the telephone interview with Roger Shuler filled in many details of what transpired during this kangaroo court proceeding. "Just as it did at the September 29, 2013 hearing on the Petitions for Preliminary Injunction, the Court finds that Petitioners have demonstrated that the Respondents have published false, defamatory and libelous statements concerning Petitioners on Respondents' website, Legal Schnauzer." The "final order" also grants the Petitioners exorbitant attorney's fees in the amounts of $24,425 for Riley and $9,450 for Duke. Pretty steep attorney's fees for a case that only lasted a grand total of six weeks! This is Carol, Roger's wife. On Friday, we provided a brief update on the Nov. 14 hearing on "permanent injunctions" in the Legal Schnauzer first amendment case. And not surprisingly, it was indeed a kangaroo court, though possibly even worse than we had anticipated. We reported that Shelby County Courthouse officials turned away the majority of the people who attempted to appear at the mysterious and strange proceedings by claiming it was closed to the public. However, some supporters were able to gain access to the previously undisclosed location. 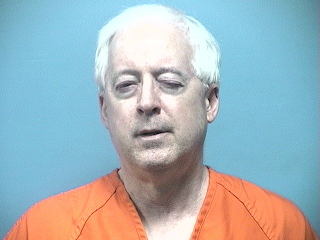 Roger Shuler--shackled at the ankles, waist and wrist--was led by four sheriff deputies from the jail to the courthouse. Once in the courtroom, he remained shackled throughout the duration of the hearing even when speaking and attempting to question the opposing counsel who was under oath. The court and the other side were livid about the widespread media coverage of their unconstitutional courtroom circus and shenanigans. Apparently, they believe they have total control of the press all over the entire world and not just here at Legal Schnauzer. They should be free to break the law with reckless abandon and trample the U.S. Constitution without shame and all global media outlets should simply turn a blind eye to their misdeeds. The court and the other side blamed me, Mrs. Schnauzer, for the media coverage and threatened me with arrest. Roger Shuler told the court he had no way to remove anything from the blog while still in jail in order to comply with their unconstitutional injunction. The court simply said that was his problem and in essence that he would be in jail indefinitely. The court and the other side threatened us with monetary sanctions. The other side never requested a struck jury upon the filing of the underlying alleged "defamation" case. This means it is a bench trial and the final outcome will be decided by the judge only. The other side filed a motion to remove the seal on the underlying alleged "defamation" case. This is Carol, Roger's wife. Here is a brief update regarding the Nov. 14 hearing on "permanent injunctions" in the Legal Schnauzer first amendment case. As expected, it was indeed a kangaroo court. The officials at the Shelby County Courthouse in Columbiana, Alabama, turned away large numbers of concerned citizens claiming the mysterious and nefarious proceedings were closed to the public. This was done in an effort to hold the court's actions away from the glaring and disapproving spotlight of public opinion. However, several people did manage to gain access to the courtroom. We have talked to them at length regarding the bizarre proceedings and will report more in coming days as further information comes to light. Although I was not present at this hearing, conversations with Roger Shuler and others reveal a number of very alarming and mystifying key points. This is Carol, Roger's wife. CBS Channel 42 News, a local television news station serving the Birmingham Metro area, highlighted the Legal Schnauzer first amendment case in a special report featured during their 6 p.m. broadcast Nov. 12. The video segment was more than 4 minutes in length and is currently posted on the news station's website entitled "Jailed Blogger in Court" by Mike McClanahan. This is Carol, Roger's wife. A bogus court hearing has been scheduled for Nov. 14 at 10 a.m. on the grossly unconstitutional & unlawful "permanent injunctions" in the Legal Schnauzer first amendment case. The location and nature of this so-called hearing is unknown at this time. Nothing that has been done in this entire alleged "civil case" has been remotely lawful, normal, constitutional, typical, correct, ethical or proper in any way, shape or form. As I was saying, this mystery hearing is supposedly set for Nov. 14 at 10 a.m. But where it is taking place we do not know. The nature of it we do not know. We do not know anything in fact because that is simply how the bizarre "conservative" cabal in Alabama operates. This is Carol, Roger's wife. The severe beating and unlawful arrest of investigative journalist, Roger Shuler, by four Shelby County sheriff deputies on Oct. 23 has received growing media attention in the past three weeks. Coverage has included print, web, radio and television media venues at the local, national and international levels. We will be highlighting some of the exposure on these media outlets in the coming days as this unprecedented Legal Schnauzer first amendment case continues to grow in importance and recognition. One impressive major media venue, Al Jazeera America, picked up coverage of this story not long after the saga began and wrote of this travesty against our rights to free speech, freedom of the press and to due process on Oct 28. This is Carol, Roger's wife. The media coverage of Roger Shuler's beating and unlawful arrest on Oct. 23 gained some major traction recently with an insightful video interview with Alyona Minkovski of HuffPost Live! The host of the daily Freedom Watch Zone broadcast of The Huffington Post interviewed me and Andrew Kreig of the Justice Integrity Project of Washington, D.C. In the Nov. 1 TV segment entitled "Journalist Beaten & Arrested", Minkovski asked why the media had not provided more coverage to such a remarkable attack on the free press. Kreig emphasized that the state of Alabama's "kangaroo" court proceedings and bizarre actions grossly violate well-established national constitutional law both on free speech and freedom of the press, as well as, the rights to due process that any litigant deserves in court. Kreig further noted that many mainstream media organizations face daunting financial pressures and have reduced staff as a result. The remaining employees are fearful of controversy and the risk of possible job loss and thus are typically very reluctant to report in any aggressive or adverse way on public officials and their wrongdoings. Also in the interview with Minkovski, I had the opportunity to describe exactly what happened to Roger on the evening of Oct. 23 when he was assaulted by four Shelby County sheriff's deputies in our garage and badly beaten and unlawfully arrested. At no time, was he ever told by any of these deputies that he was under arrest, being charged with anything, shown or even told about a warrant of any kind nor ever read his rights! He was merely attacked inside the four walls of our home, beaten up and abducted into the night. This is Carol, Roger's wife. Today as we celebrate the sacrifices of our brave men and women in uniform this Veteran's Day, we are shocked and saddened to discover that the many freedoms for which these selfless soldiers fought and died over the course of our nation's history are being eroded away. There is a war being waged on the U.S. Constitution & our Bill of Rights by the rich, powerful, well-connected and corrupt. And the travesty involved in the Legal Schnauzer first amendment case is on the front lines of that war. Police brutality, prior restraint, unlawful search and seizure, police harassment, denial of due process, false arrest and malicious prosecution, as well as, suppression of free speech and freedom of the press--our civil liberties are currently under assault. Last Tuesday, however, I was most gratified to report here that the American Civil Liberties Union of Alabama had received a huge outcry from concerned citizens regarding my husband's beating and arrest. So much of an alarmed public outcry in fact, that they agreed to step in and lend their assistance by filing motions in Roger's first amendment case. Below is an except from the ACLU email. The American Civil Liberties Union of Alabama intends to file a motion for leave to appear as amicus curiae in the above cases. Our memorandum will assert that the Court’s TRO and Preliminary Injunction run afoul of both the First Amendment to the U.S. Constitution and Article I, § 4, of the Alabama Constitution. In addition, we will assert that the sealing of the record in these cases unconstitutionally impinges upon the public’s right of access to judicial records and judicial proceedings. Our only interest is in the constitutional issues that are apparent in this litigation. This is Carol, Roger's wife. So many organizations have stepped forward to lend their support to Legal Schnauzer's ongoing fight for justice against this travesty against our constitutional rights and civil liberties. One of those groups is the Reporters Committee for Freedom of the Press (RCFP) based in Washington, D.C. The RCFP describe themselves on their website as: A nonprofit association dedicated to providing free legal assistance to journalists since 1970. This is Carol, Roger's wife. Since Roger's brutal beating and unlawful arrest on Oct 23, we have been gratified by the chorus of folks we've heard from who wanted to help us and offered to lend their support in a variety of ways in our fight for justice. Many of those people have chosen to support this fight by way of the Legal Schnauzer PayPal donation button, which can be found in the upper right-hand corner of the blog. Fighting against the forces of evil and tyranny does not come cheaply, but the donations that have come to us via the blog's Paypal donation button have made that fight much more feasible. Hopefully, this will mean the release of Roger from Shelby County, Alabama's own little version of Gitmo sooner rather than later. This is Carol, Roger's wife. We have been heartened by the loud outcry of concerned citizens all over the world regarding Roger Shuler's brutal beating and unlawful arrest on Oct. 23. People everywhere, including scores of media outlets, have stepped forward to help shine a spotlight on this outrageous display of police brutality, as well as, suppression of free speech and freedom of the press. Our civil liberties are under assault and people are saying, "Enough!" Thanks to this outpouring of effort by so many, the American Civil Liberties Union of Alabama has graciously agreed to step in and lend their assistance by filing motions in Roger's case. These motions were filed on Nov. 1. Below is an except from the ACLU email. This is Carol, Roger's wife. Roger was severely beaten by four Shelby County sheriff's deputies inside our garage on Oct 23rd at 6 pm. He was hauled off to jail where he remains there without bond on contempt of court. They are also alleging he resisted arrest,but that is a lie. They never said they were there to arrest him, did not read him his rights, did not show a search warrant or arrest warrant. Bond for resisting charge is set at $1,000. It is being reported on nationally and we will continue to work to take it viral to shine a spotlight on this travesty. I was asleep in the house at the time of the assault,but they wanted to arrest me too. I awoke at 11:30 pm and found Roger missing and garage looking like a crime scene. I was horrified and thought he surely had been abducted by criminals, taken off somewhere and murdered. I was partly right. They were criminals...with badges and uniforms. And whose salaries are paid for by taxpayer dollars.